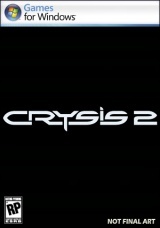 Playable in both three-dimensions and standard 2D, Crysis 2 drops players into a devastated New York City in the midst of an attack by an alien species. Armed with deadly weaponry and exceptional sensory abilities that push them to the limit, these invaders stalk the streets of the city, leaving the skyline in flames. Crysis 2 gives players superhuman abilities to level the playing field, becoming the ultimate weapon o a mission to save the fledgling city. 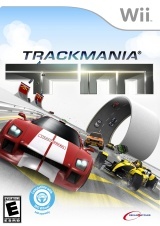 By making use of either your Wiimote or Wii Wheel, TrackMania: Build to Race gives players the opportunity to pilot racing cars at incredible speeds while also making use of a robust level editor, which gives you the ability to create an infinite number of levels. 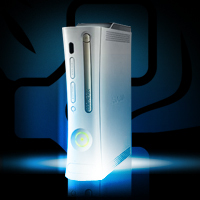 Featuring tracks full of ramps, loops, boosts, and blocks, the title includes more than two hundred varied environments and a plethora of game modes to choose from. Allowing for both local and online multiplayer, TrackMania gives you the ability to complete against your friends and join online players from around the world. 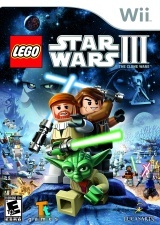 Including all of the characters from both seasons of the critically-acclaimed and popular television series, Star Wars: The Clone Wars, as well as some addition fan-favorites from the original Star Wars saga, LEGO Star Wars III: The Clone Wars builds upon the creativity found in other LEGO games while adding a myriad of new battle modes, giving unique head-to-head combat opportunities and an upgraded level editor. Giving you the option to play either as a Jedi or Separatists with all-new character abilities, such as Squad command, Lightsaber slicing, Lightsaber jumps, and long distant attacks with the addition of a new heads-up display. 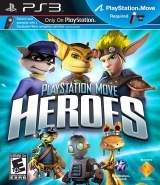 Bringing together a cast of some of PlayStation’s most-storied characters from three iconic franchises, Heros uses the PlayStation Move motion controller to give players a unique way to interact with their favorite PS characters. Rooted in the mythology of Ratchet, Clank, Jak, Daxter, Sly, and Bentley, a mysterious and evil force has crept into the galaxy, standing as a malicious threat to the characters’ worlds. Stopping the enemy at all costs to prevent the enslavement of a race of peaceful space creatures, jump in to smash, hurl, and shoot to solve imaginative puzzles and challenges that the heroes must overcome to save their universes.